It feels a bit silly writing about this so late, so I’m sorry for my tardiness, but I’ve been mega busy at work and all my spare time has been spent moaning about my broken knees. 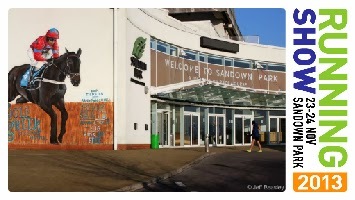 Anyway, a couple of weekends ago I ventured to Sandown Park racecourse for the Write This Run conference and Running Show – a whole weekend dedicated to running, blogging and shopping – I could hardly contain myself! 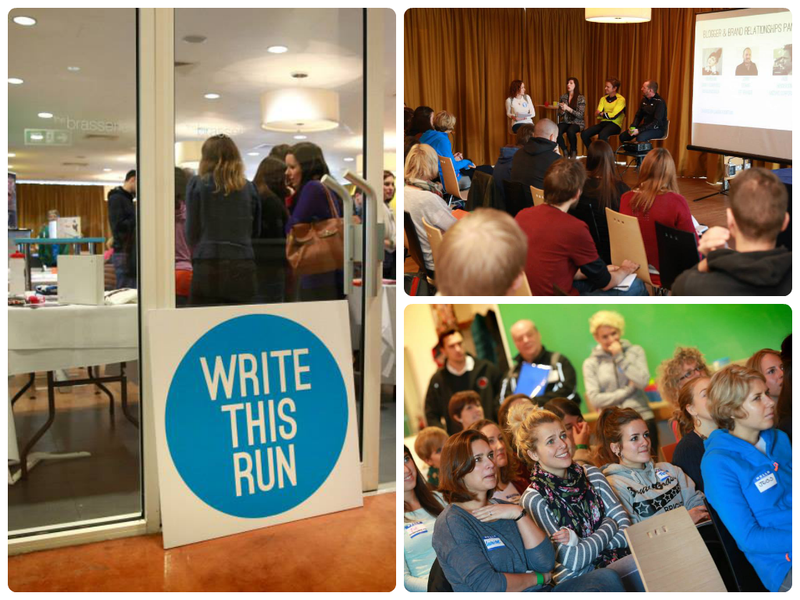 Saturday was the conference, during which we listened to some awe-inspiring stories of running for weeks on end across whole countries, running multiple marathons without sight and running to run away from problems and issues we may face in our lives. As I’m about to embark on my first winter of marathon training, I couldn’t even begin to imagine the strength and stamina of the speakers we listened to – Jennifer Bradley spoke about becoming the first British woman to run across the USA. That’s right, RUN ACROSS THE USA. I’m petrified at the thought of 26.2 miles, let alone however many thousand she covered! Simon Webb shared his story of running the London Marathon without sight, enjoying an alternative view of our great capital’s 26.2miles. Just awesome. 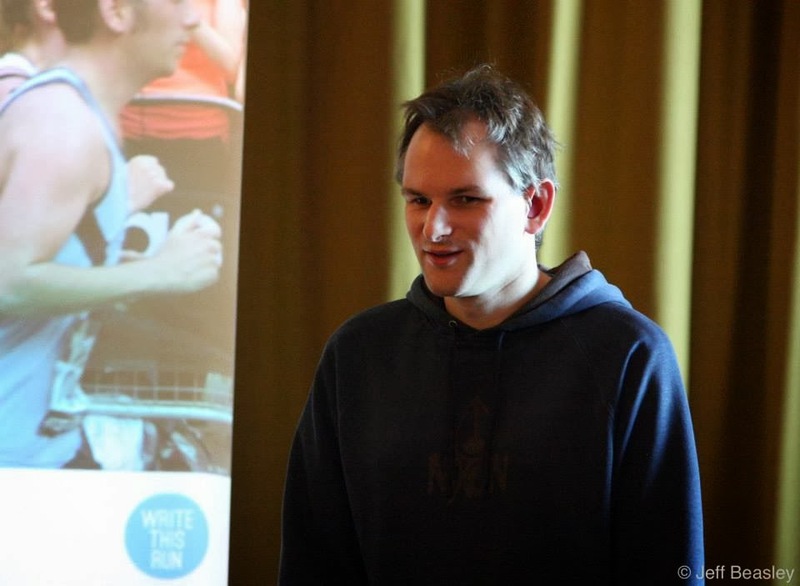 Simon Webb sharing his experience of running marathons without sight. 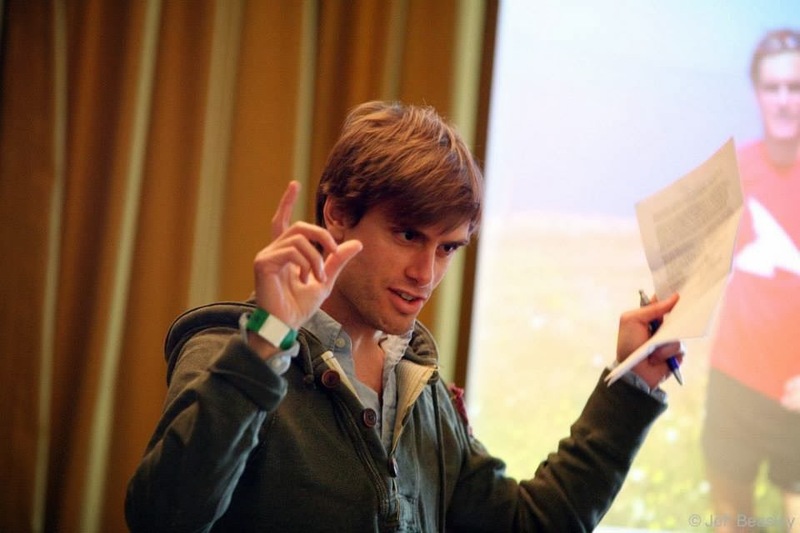 Inspiring training stories out of the way, it was time to get down to business – how to be a better blogger, and how to build and maintain good brand relationships? These panels were led by Mizuno and Fit Brands representatives Rob Henderson and John Dennis, along with blogging queen Muireann Carey Campbell (AKA Bangs and a Bun / Spikes and Heels). 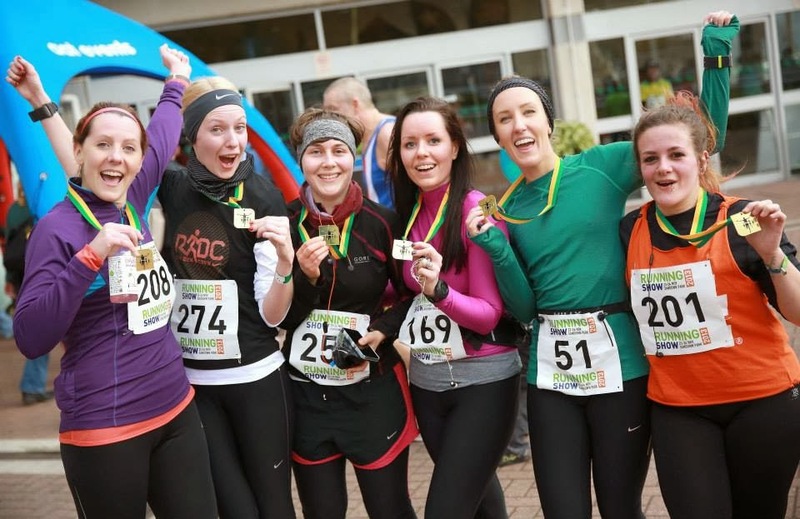 Then it was time to talk about running strong, avoiding injury, how to run better – basically everything that I need to be doing right now, rather than ploughing on through pain and putting myself out for a couple of weeks! 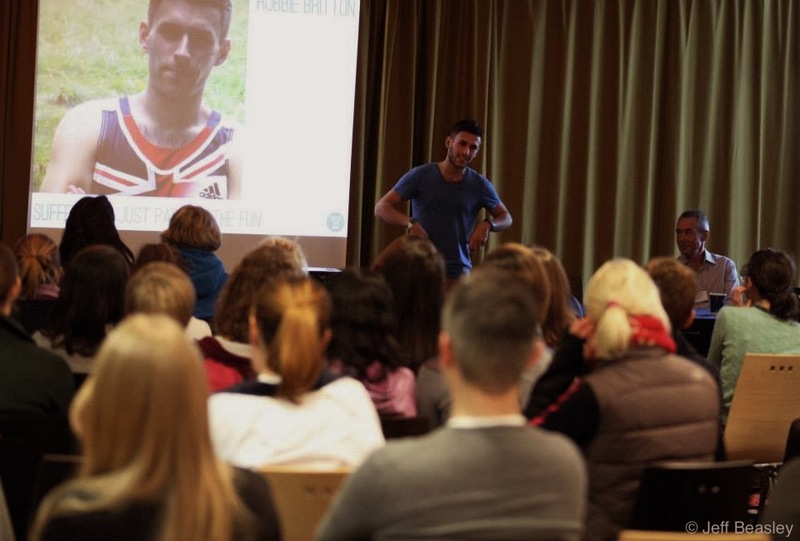 Listening to Team GB ultra runner Robbie Britton talk about running hundreds of miles as if it’s akin to waiting for the kettle to boil was truly inspiring (and hilarious). Lots of useful info followed from Sub4Health and iThlete followed on heart rate variability and how to avoid injury. Once the talks were all over there was a choice of a yoga session or Running School workshop, and I chose the workshop to suss this ‘good running form’ malarkey out. I already had a niggly pair of knees so it wasn’t the greatest start, but when we were shown how to cycle our legs instead of over striding and slamming our feet on the ground it really was a revelation. We were light-footed, graceful gazelles bounding round the paddock. OK so not quite – we only had a half-hour session and this stuff takes weeks to learn, but I can definitely see the benefits of what we were taught. I think I’ll stick to my strength and conditioning exercises from my physio for now and just be mindful of better technique in the coming months. 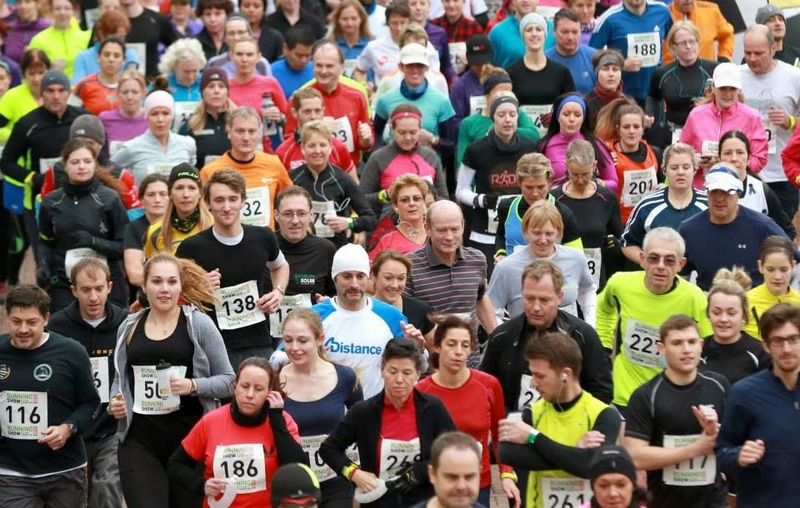 Running Show 10k – the one that killed my knees! Along with the amazing goodie bag, Running Show entry, free lunch and free race entries, our Write This Run ticket also got us into the 10k race on the Sunday. I was meant to be doing the first RunBrighton training run and Brighton Marathon Training Day back in Brighton but had signed up for this beforehand so didn’t wanna miss out. My knees had been niggling the previous day and didn’t feel great but I thought they’d sort themselves out like they normally do once I warm up. I was wrong. The course was a couple of laps around the undulating, multi-terrain racecourse, through the carparks, around the track, out and back by the stables – nothing too boring, until you have to repeat for the second lap. The change of terrain and hilly bits didn’t do my knees any favours though and I spent 70% of the race in pain praying for the finish line. I *so* wish I pulled out at the 5k mark when I stopped at the top of the carpark hill nearly in tears – it’s only a 10k, I’ve got a marathon to train for, why on earth did I carry on?! Anyway, plough on I did, and came in at 56:26, my second fastest 10k – which either shows my running fitness is at an alright level even when injured, or that I’m a complete nobber for running so hard on painful knees. I’ve been in pain for the past two weeks so think I can safely say it’s the latter. Despite the pain – so glad to have met such lovely bloggers – go Team WTR! I don’t wanna end this post on a negative, so I’ll just promise myself NEVER to run hard on painful knees again, and say how lovely it was to meet so many brilliant bloggers that I follow and speak to on Twitter and Facebook. It was a great weekend despite my stupidity and I’m really glad I came along – will definitely be up for the next one. Oh yeah, and the other great thing about the weekend? THE IMMENSE POST-RACE RUNNING HAUL!!! Previous Post Rest & recovery – the hardest thing to do?